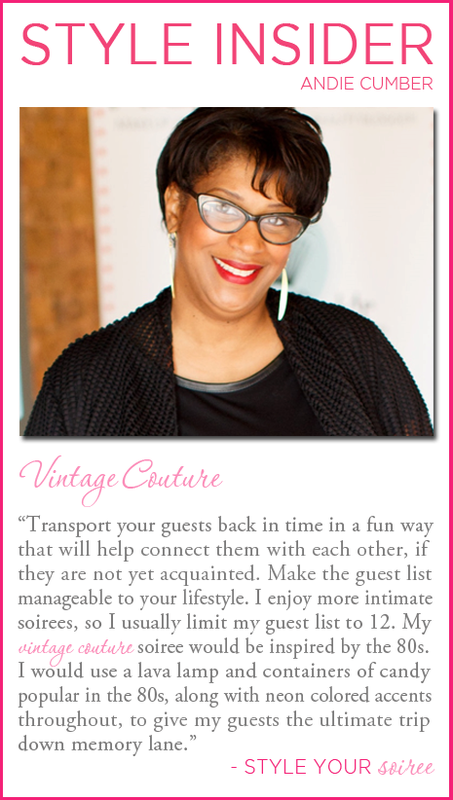 I had the privilege to be a guest "Style Insider" for Edible Style by Elaina Vazquez. The feature ran during the month of June and focused on styling your soiree, your spread and yourself. Take a sneak peek below then check out the Edible Style fan page to view the other segments. Don't forget while you're there to browse around and see all the magic that Elaina is cooking up in the kitchen.